Lamb shoulder stands up well to the Spanish-influenced spice rub of garlic, oregano, cumin, and smoked paprika in this recipe. Serve with crusty bread to sop up the buttery sauce. 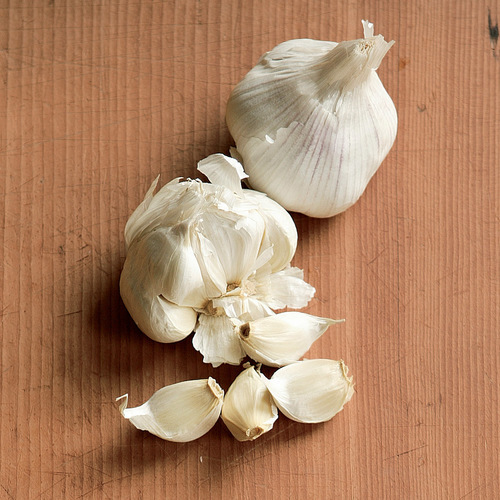 Combine the garlic and 1 ­tsp. 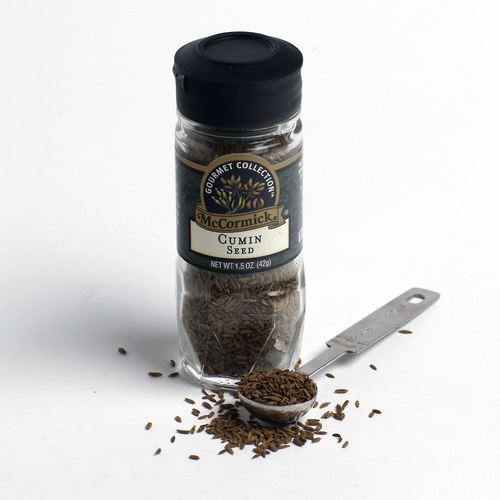 salt in a small mortar and grind to a smooth paste with the pestle. 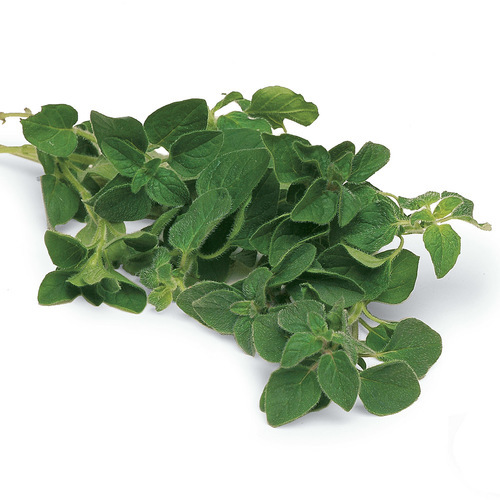 Add the oregano, cumin, and 1/2 ­tsp. of the pimentón; work with the pestle to combine. Stir in the olive oil to make a smooth paste. Pat the lamb chops dry and rub the paste evenly over all of them. Let sit at room temperature for about an hour. Meanwhile, in a medium bowl, mix the butter, shallot, piquillo pepper, vinegar, and the remaining 1/8­ tsp. pimentón. Season to taste with salt and set aside. Heat two 10- to 12-inch heavy-duty skillets over medium-high heat. 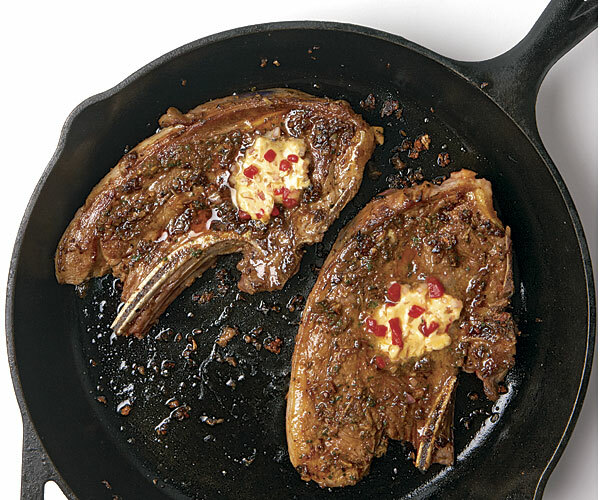 Arrange two chops in each skillet and cook until browned on the bottom, about 2­ minutes. Flip and sear on the second side for another minute. Lower the heat to medium and continue to cook the chops until the internal temperature registers 125°F for medium rare, 4 ­to 6 ­minutes more. (If you nick the thick part of a chop to peek inside, it should be rosy but not bloody.) For medium doneness, cook to 135°F, 6 ­to 8­ minutes more. Transfer the chops to a large platter or 4­ dinner plates and immediately smear each with some of the butter. The heat of the chops should melt just enough of the butter to lightly sauce the meat. Let the chops rest for 3­ to 5 ­minutes before serving. The lamb chops can be rubbed with their spice paste, covered and refrigerated for up to 8 hours. Let come to room temperature before cooking. This was wonderful. We love lamb chops but don’t love rosemary, which seems to be a main ingredient in many lamb dishes. This was a great way to have lamb with a different flavor. We will be making this again and again. I made it yesterday for our family gatherings, and everybody loved the dish that I got here, Thanks I found this site and also www.gourmandia.ca and www.allthemeat.com have all the recipes that you are looking for. Good for someone who loves to learn new cooking techniques. Have fun! This was excellent. I only had lamb shoulder steaks, so that was what I used. Served with jasmine rice which soaked up the juices nicely. Great, quick recipe.